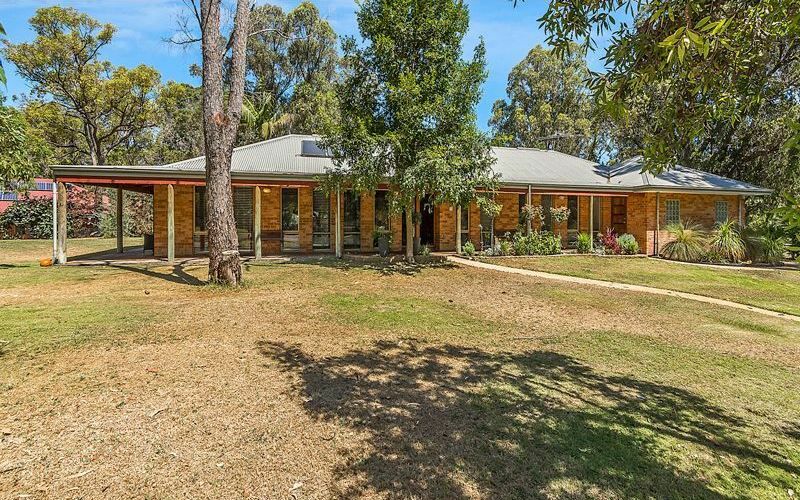 THIS sprawling homestead is in tranquil semi-rural surrounds and has lush bushland views, yet is just minutes from shops, schools and transport routes. 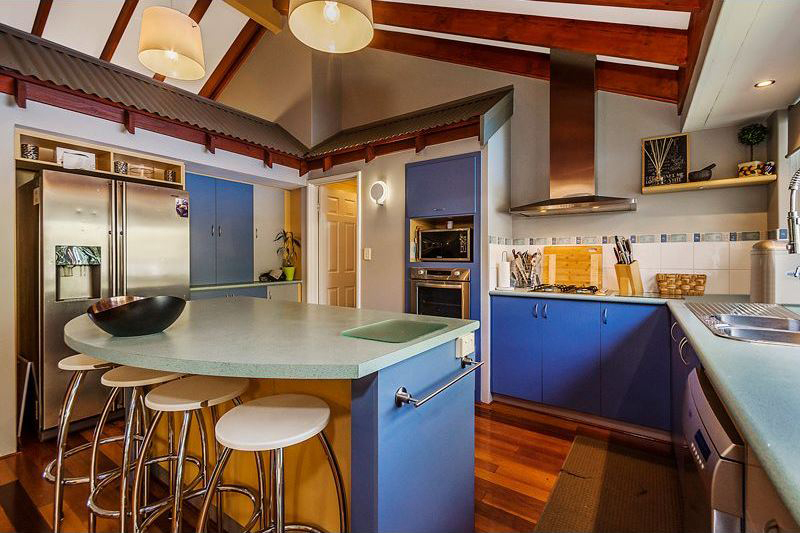 At the heart of the home is the impressive open-plan living and dining area with high raked ceiling, exposed beams and timber flooring, overlooked by the kitchen featuring generous storage space including a walk-in pantry, island breakfast bar and dishwasher. 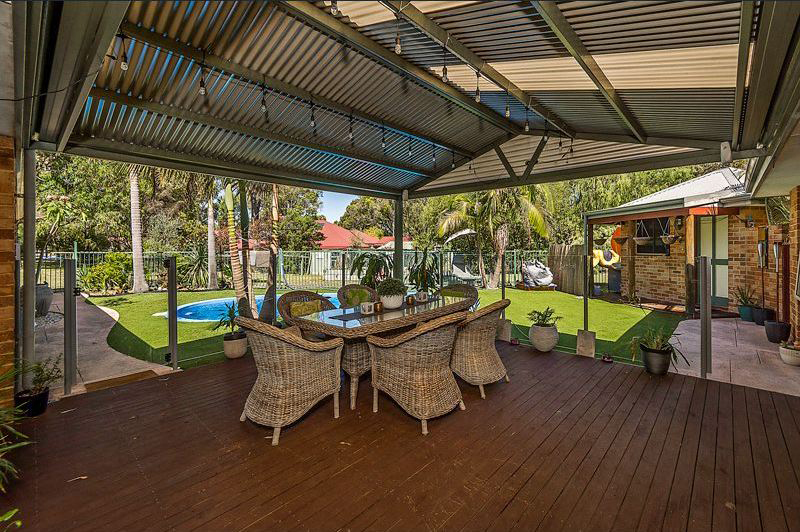 Sliding doors open this area seamlessly out to the huge decked patio with gabled roof, perfect for parties, with a resort feel provided by the palm trees and sparkling pool with synthetic lawn. 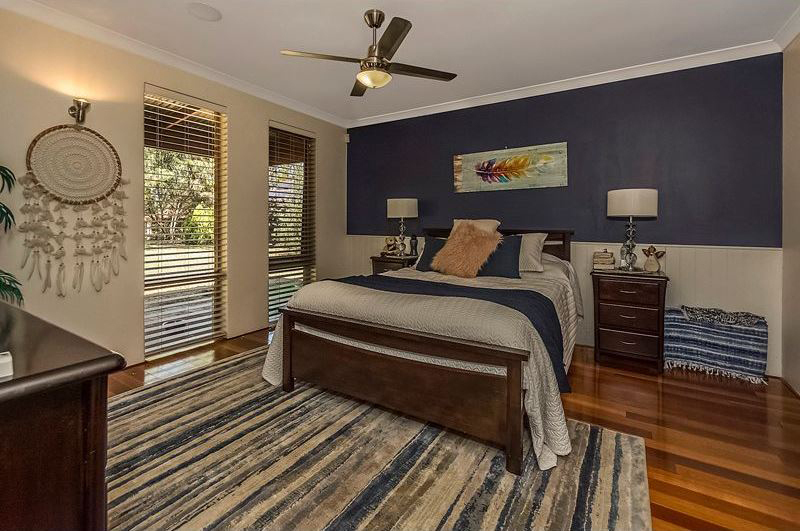 Double wooden french doors lead to the luxury parent’s retreat with large main bedroom with speakers and ceiling fan, walk-in robe, ensuite and study or lounge. The three minor bedrooms with built-in robes share the main bathroom with shower, bath and separate toilet. Other features include a solar hot water system and ducted reverse-cycle airconditioning throughout. 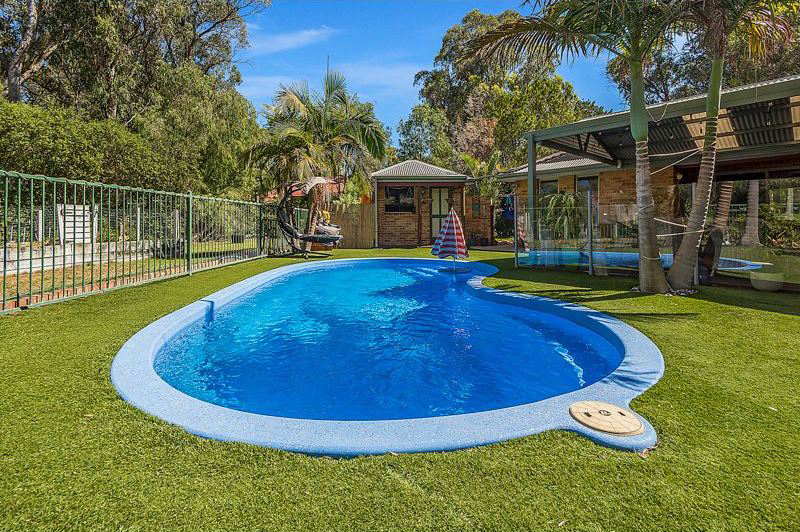 The fully fenced 3017sq m block also has a double garage, brick pool shed, fishpond, chook pen and vegie patch. 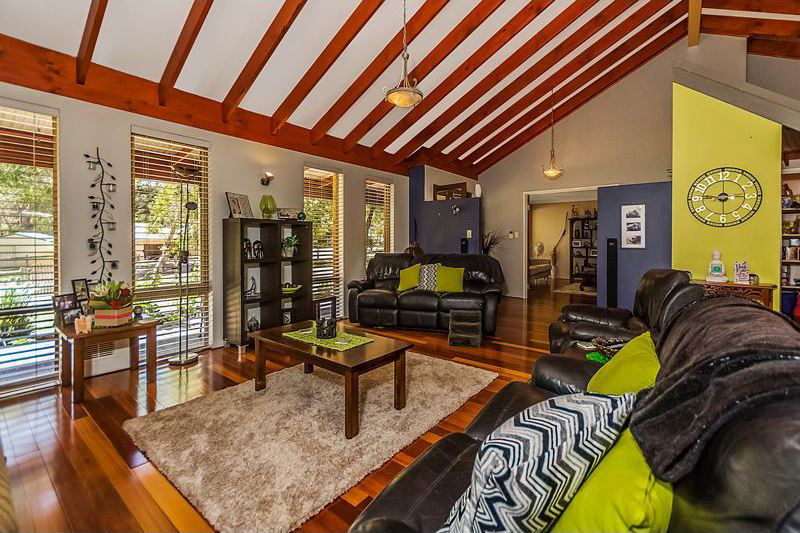 It is just a three-minute drive to Baldivis shopping centre, 10 minutes to Kwinana Freeway, six minutes to Warnbro train station and eight minutes to the beach.